The Honda S600 wasn’t officially sold in America, but if you happen to find one, buy it because the possibilities are endless with this classy little roadster. For starters, it’s very easy to triple its horsepower, which will make it faster than many expensive sports cars attacking the canyons. Old Japanese cars rust out faster than a sixties Fiat would in Iceland, but that’s not a big deal in California, where the sun is always shining to make red paint fade away like your memory after a night that was supposed to be memorable before your friend Jack Daniel messed it all up. Once you got such a rare car in your garage, it’s only natural to turn to Ebay until a motorbike engine with sufficient power figures comes up. Let’s say a 1,000 cc with about 160 hp. That’s will do it. 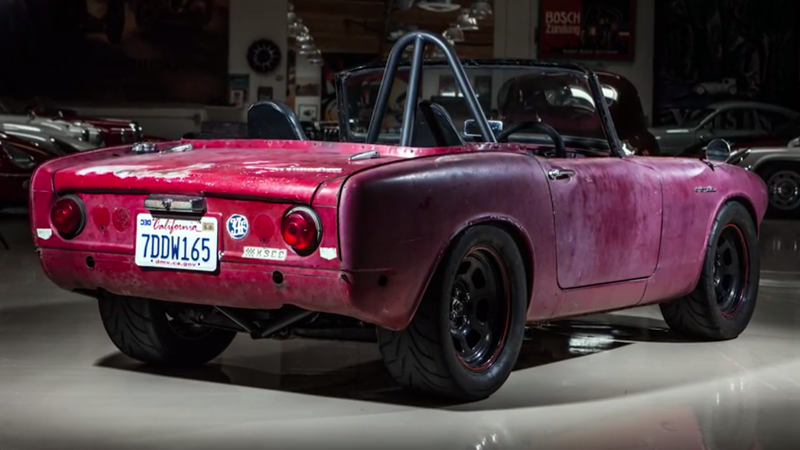 The brakes and the differential can come from a Miata, because those are good parts to grab on the cheap as well, and once you took care of all the safety concerns by the addition of a roll bar, your Roadster is ready for a new chapter. Just don’t forget that there’s also enough space in the trunk for a giant nitrous bottle! California. A state with the tightest emission standards that will also let you drive things like this on public roads if you can’t find something that runs on unicorn farts. What a wonderful place!